Help us bring computing to life! Latest update! Well done everyone! WE have now updated our target again as we have managed to over fund for a second time! We are adding another stretch target! UPDATE! Thanks everyone for your generosity, we have already overfunded our project. so we are adding a stretch target to £599 - see details below. 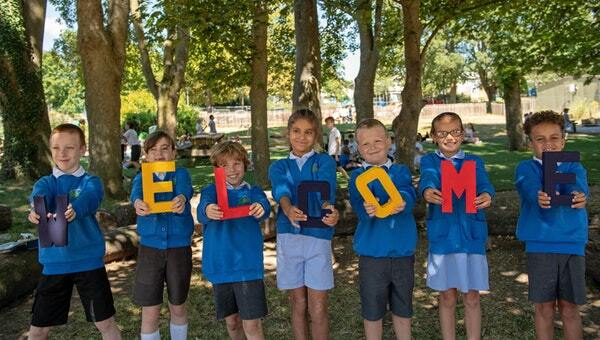 Kings Furlong Junior School is a fantastic school that has children's learning at the heart of everything we do. We aim to inspire learning, develop character, build community and will always give whatever it takes to get the best out of our children. We are working hard to develop our computing curriculum this year and children LOVE learning more and more about computing every day. The world of programming is something that has really caught the attention of children across the school and so we would love to purchase some crumble kits. Crumble kits teach children coding through exciting and engaging physical computing and can be used as a cross curricular approach in many subjects, especially art, science, maths and Design & Technology. The crumble kits will be used by the whole school across the curriculum. Our children have a real love for computing and we want to be able to show them how computing and programming can be used to create a range of products. The children would be given the chance to use their imagination to create products like their own vehicle, nightlight, game or even artwork. These would make use of lights, switches or buzzers that the pupils have programmed themselves. It will give our school's programming a whole new WOW factor! Any donations that you could provide would be amazing for all the pupils at our school and will provide endless opportunities in the world of physical programming. If you can't donate right now, you can help us in other ways! Share this project with anyone you think would support us. Share the link at the top of the page on Twitter, Facebook, email, your website, blog, mention us in a phone call or even just a chat over the fence! Please support us and help make a difference to our students. Personal recognition as a thank you in the school newsletter.